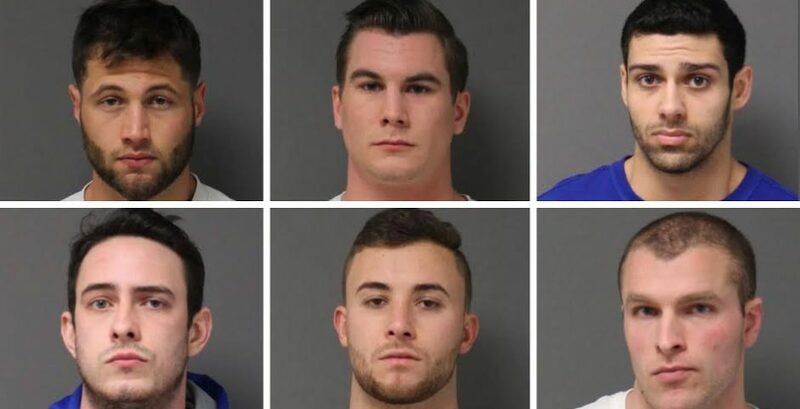 In October, six students at UConn were arrested in connection with an alcohol-related death of a fellow student, 19-year-old Jeffny Pally. Now, they have been released on a special two-year probation that will allow them to erase their criminal charges upon completing a program. Avoiding jail time for their offenses, the men are instead required to complete community service and make a charitable donation during the probation period. The program is designed for first-time non-violent offenders that the judge deems unlikely to commit another crime. The incident occurred in October, when Pally attended an off-campus party hosted by the Kappa Sigma fraternity, of which each of the men are members. Among the criminals’ charges are permitting a minor to illegally possess alcohol and delivery of alcohol to a minor. According to the arrest warrant, Pally’s blood alcohol content was 0.25, more than three times the legal limit. She fell asleep resting against a garage door of the UConn Fire Department and was fatally struck by a department vehicle responding to a call. This call turned out to be a false alarm. The firefighter, meanwhile, was cleared of all charges since the judge ruled that Pally was not within his sightline. However, Pally’s parents are still suing him for “negligence and carelessness” related to their daughter’s death. The Kappa Sigma fraternity has since been suspended on UConn campus.